2) I got my order from The Doughnut Family this morning and as I’m writing this, I’m indulging in a vegan chocolate glazed doughnut. Sooo good! 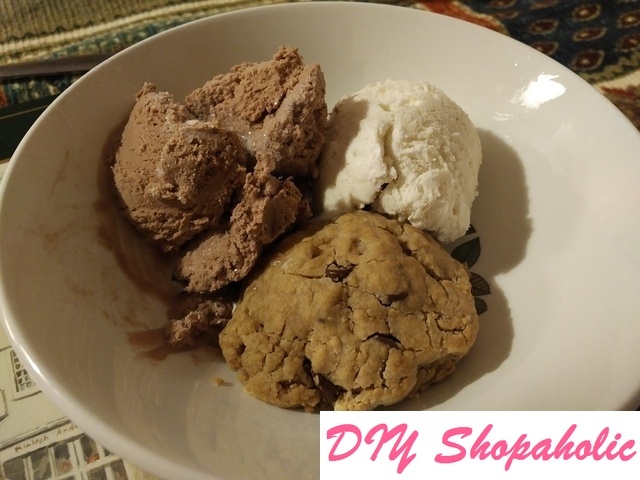 I’ve got a really sweet tooth and finding the treats I liked to eat before I became vegan has been something I’ve been determined to find, whether it’s bought or homemade by my own two hands. Luckily for me, my Aussie vegan friends have been at it for longer than I have and made the perfect chocolate chip cookies that are out of this world. I might be on a bit of a sugar high from the chocolate and the doughnut, but part of my excitement is finding vegan sweet treats that are so good you wouldn’t even know they’re vegan! When you’ve baked so many cakes, cupcakes, cookies and brownies, you start to get an idea of what you like and don’t like. Vegans will know the story about Gary (if you don’t, read this article here) and in that same spirit, I’ve decided to name these wonderful chocolate chip cookies Rebecca. I’ve tried making these cookies in 4 different batches; the first two were made on the same night and were exactly how I liked them. I had run out of sugar and chocolate chips so the third batch ended up not working quite as well although the OH said he preferred these thinner and gooey cookies. I tried to replicate my first attempt by getting more vegan chocolate chips (the Sainsbury own dark chocolate chips are vegan and only costs 80p for a 100g bag rather than the 150g bags of organic dark chocolate chips you get for £3.29 from health food stores) and light brown sugar and they turned out perfectly once again. 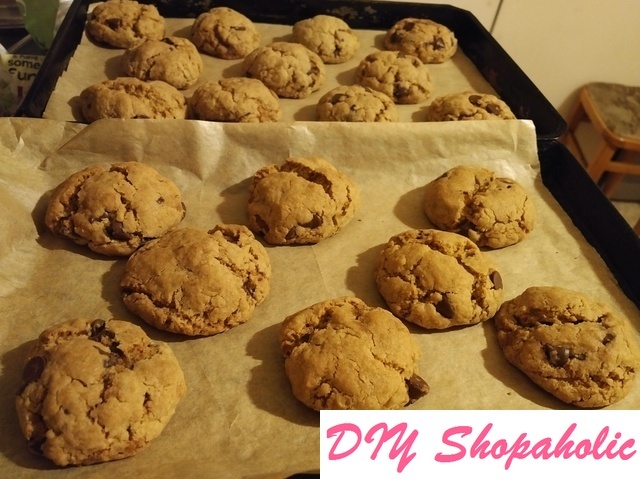 For thick and chewy cookies, use light brown muscovado sugar and try to keep the dough dry and not too sticky. For thin and gooey cookies, use dark brown sugar the dough should be quite sticky. I’m not sure exactly where I went wrong with the thin gooey batch, but I suspect there was slightly more liquid than the other batches. The only other difference I could think of was the type of brown sugar I was using. The OH didn’t think it would make a difference, but I remember specifically buying light brown sugar as it was more suited to baking and dark brown was more for cooking. 2. 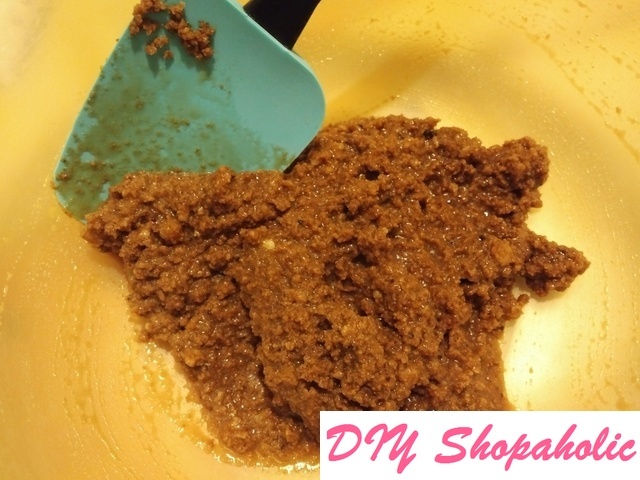 In a bowl, mix the coconut oil light brown sugar together. Use a spatula or the back of a spoon to break up the coconut oil clumps into smaller pieces so they stick to the sugar better. 3. Next, add milk and vanilla. The mixture should be almost like thick sugar batter. 4. 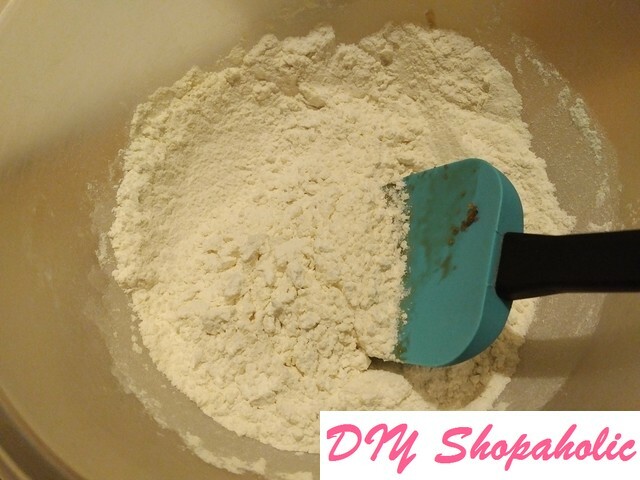 In a separate bowl mix the flour, baking soda, baking powder and salt. 5. Combine the wet ingredients with the sugar mix thoroughly before adding the chocolate chips. 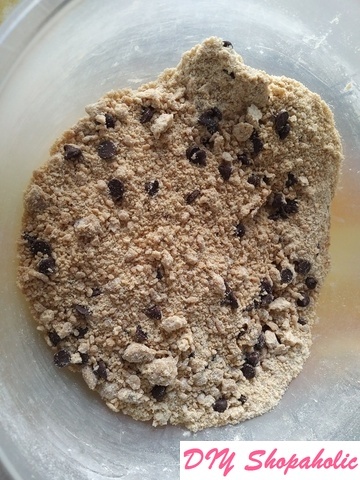 IF you prefer more chocolate puddles in your cookies, you can opt to chop up a 100g bar of dark chocolate and add this to your dough. 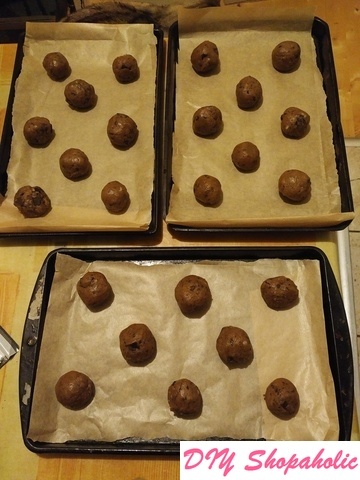 It will be very dry and not mix well, but this helps the cookies keep their shape in the oven. 6. 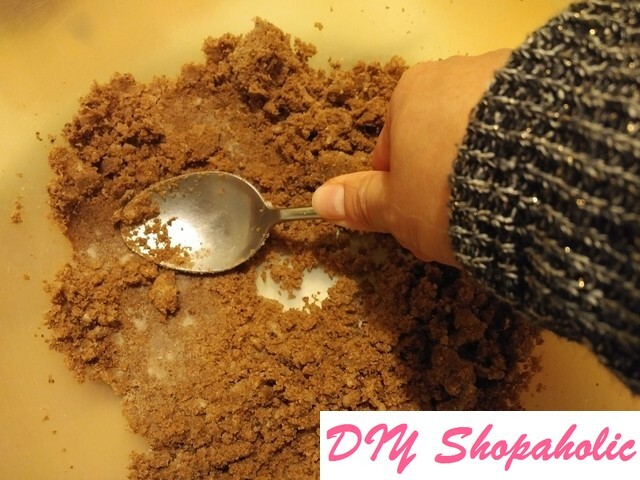 Pick up a handful of the mix and either roll or press the dough together to form small tablespoon sized balls. They may fall apart while you’re shaping them, so make sure you press them together quite well so the coconut oil and wet ingredients bind the dough together. Place them on an ungreased cookie sheet (or on a sheet of parchment paper on the baking sheet). I kept them into ball shapes for smaller and taller cookies, but if you want American-style cookies, flatten them out a bit with your palm. The dough may be a little crumbly, but just press it back together and it should stay where it is. 7. Bake for 7-10 minutes or until golden brown. 8. Carefully transfer them to a cooling rack to let them cool off. If you’re like me and can’t wait till they’re cooled, try one now although be careful you don’t burn your mouth from the hot chocolate chunks/chips, they’ll still be piping hot! They have been a big hit with family and friends. Half of the first two batches I made were for the vegan information stall I was volunteering at. I’d brought over a dozen cookies with me and within an hour the tin was empty! Vegans and non-vegans alike really liked the cookies and wanted the recipe although we’ve been having a bit of trouble with our printer at home and I couldn’t bring a copy with me to the stall. I’d even made slightly bigger fist-sized cookies which we had with the in-laws as dessert after dinner one night with chocolate and vanilla Swedish glace ice cream. Yummy! 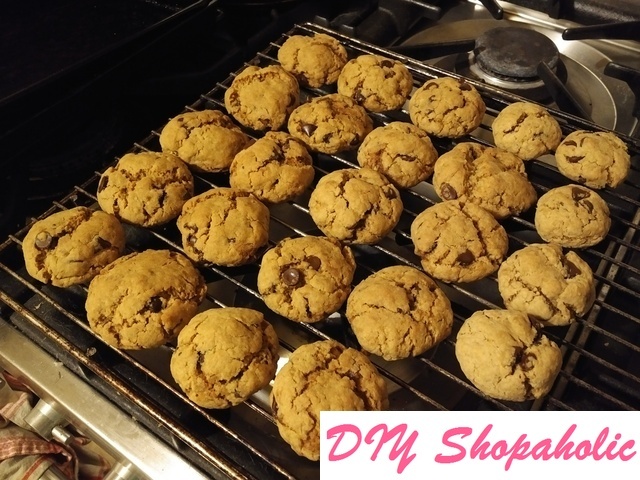 I’d love to know what you think about the recipe if you’ve made these cookies! 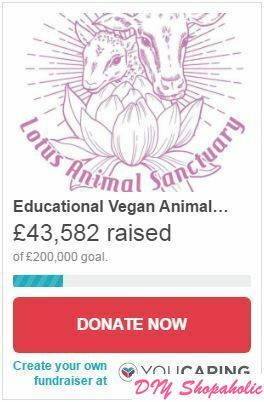 Have you got any favourite vegan baking recipes? wow, the way that this mixes together is gorgeous! I’m not much of a baker, but this looks like something I’d be more than happy to attempt.